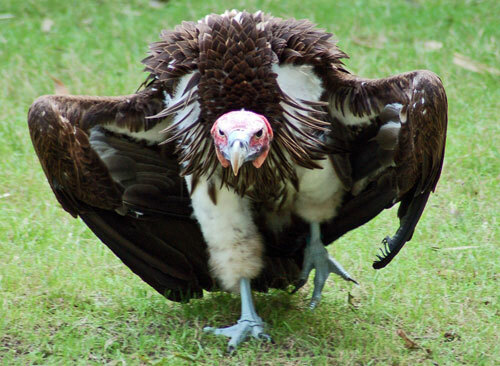 The vultures, nature's most efficient scavengers, are on the verge of extinction. Nine species of vultures are recorded from the Indian subcontinent, of which, five belong to the genus Gyps while the others are monotypic. Historically, and until recently, the White-backed vulture Gyps bengalensis, Long-billed vulture Gyps indicus and Slender-billed Gyps tenuerostris vultures were by far the most populous species in India. Over the last decade, however, there has been a drastic crash in the populations of these vultures over most parts of the country. The VCBC, Rajabhatkhawa, Buxa Tiger Reserve, Alipurduar, West Bengal is the second of its kind in the whole of Asia. Construction of the VCBC started in December 2005 and the first vulture was brought to the centre in March 2005. To date, 16 vultures are housed at the centre, of which 12 are Slender-billed, 3 White-backed and 1 Himalayan Griffon. They have been collected from Assam and West Bengal.